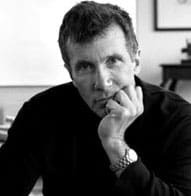 Pulitzer Prize-winning author Michael Cunningham tells Entertainment Weekly that he's about two-thirds finished with a new 250-page novel called Olympia that may be completed by September. because he wants to f— this boy. The boy is like the young wife." his younger brother, the presumably straight Peter."